If you’re in an advisory or sales role, you probably strive to be a trusted advisor to your customers. After all, if your customers trust you, tons of things start to go right, and you find yourself in a highly favored situation. But there’s a paradox: if you set out to be relatively favored by your customer – to be the most trusted – you can actually destroy your trust. You can’t hog the trust. Here are the two most common situations where trying to hog the trust turns out to bite you. Let’s say you’ve been incredibly successful at becoming a trusted advisor with a particular customer – both individual customers, and the organization as a whole. They take your advice; they seek you out; they buy from you. Now let’s say the customer could benefit from another part of your organization. Or, that you’re getting a little over-loaded, what with all your success. Or, some of your firm’s people need development opportunities. In such cases, it’s only natural to fear the loss of our trusted advisor status. They might screw it up. They might not live up to your high standards. (Worse, they might exceed your high standards and make the customer think they are the better trusted advisor). And fearing all kinds of loss, you’re tempted to keep the customer to yourself. Here the trust paradox comes around with a vengeance. Trust, like love, is one of those things that you get more of when you give it away. Trust thrives on reciprocity – it starves on selfishness. The trust your customer has placed in you is heavily rooted on their belief that you’ll do the right thing for them. If you’re honest, it’s extremely unlikely that Every Right Thing can be provided by you – at some point, other human beings may actually be able to provide help to your valued customer in ways that you cannot. In such situations, you serve no one by blocking the channels – worse, you actually destroy the trust in yourself. You have a meta-role – the trusted advisor role of watching over the relationship, assuring the customer they’ve got a safe back door channel to you, making sure the new person understands the customer situation. Sharing your customer’s trust with others on your team doesn’t deprive you of your trusted advisor status – quite the opposite. It allows you to exercise your trustworthiness on a broader platform, and for the customer to benefit more from it. Just don’t hog the trust. 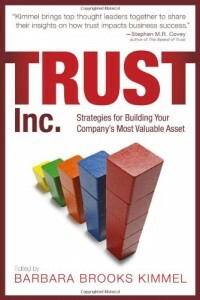 It might seem self-evident that you should be aim to be more trustworthy than your competitors. And to a point, that’s a valuable goal. The point gets crossed, however, when we start doing things with the objective of being more trusted – instead of with the objective of doing the right thing by our customer. 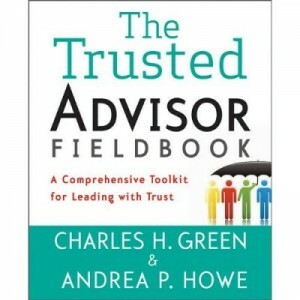 Of course you should be credible, reliable, a safe haven – all those things that make a trusted advisor. But what happens if your customer would actually be best-served by a competitor on a given issue? Do you have the ethical gumption to do the right thing for your customer and actually recommend your competitor? Or do you slide by the issue in any one of a dozen slippery ways? If you allow your goals to supersede what is good for your customer – even a noble goal such as being relatively trustworthy – then to that extent, you cannot be trusted; you have put your good over the good of the customer. Ding. Tilt. No good. This is a major-league trust paradox: you are trustworthy in direct proportion to the amount that you are willing to subordinate your own business goals to that of your customer. And – paradox squared – in the slightly longer run, doing so will probably benefit you anyway. Again – don’t hog the trust. It’ll just come around to bite you.